Critics complain that lifestyle evangelism is not biblical. But I can clearly see evangelism as a lifestyle in the actions of the early disciples in the book of Acts. Since I’m a Presbyterian pastor, I choose to use an excellent definition of personal evangelism, as adopted by the General Assembly (1990). Joyfully sharing the good news of the sovereign love of God, and calling people to repentance, to personal faith in Jesus Christ as Savior and Lord, to active membership in the church, and to obedient service in the world. This definition of evangelism has guided me since the early part of the last decade and I have chosen to live it out in my own personal lifestyle of evangelism. As I look at the activity of the early disciples, I see they too lived a lifestyle of evangelism. They joyfully shared their faith on a regular basis in areas where they had influence. Talking about their faith was part of their ordinary life. It was something the early disciples made a part of their daily life. You might say that faith based conversations characterized their activity. 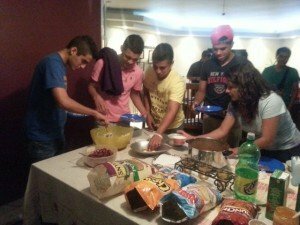 Their passion for Jesus overflowed in their ordinary conversations. Do current stories of God’s activity in your life appear in your conversations? Would your friends characterize you as a Christian because you talk about your relationship with God? What is God doing in your life today that makes following Jesus good news? In my life this week, I’ve talked with my not yet Christian friend about God’s provision, how the Holy Spirit is teaching me to love my wife, how I use Bible principles to raise my kids. In the week before, we talked the sayings of Jesus and what he learned about Jesus from reading some of the gospel of John. My faith in Christ overflows into our conversation. 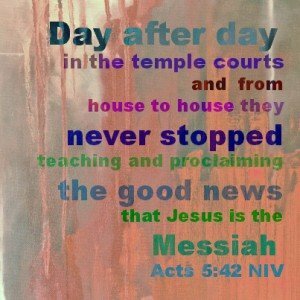 Talking about Jesus was an occurance, day after day for the disciples. I try to make it so for me. Luke tells us where they chose to share their faith in Christ. In the temple courts and from house to house. 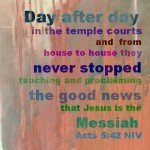 As most of the early disciples had Jewish roots, it makes sense they shared in the temple courts. That was their community center. That was their sphere of influence. That is where they likely choose to pass their time if they were not working. I don’t hang out in temple courts. So how can I live this out? 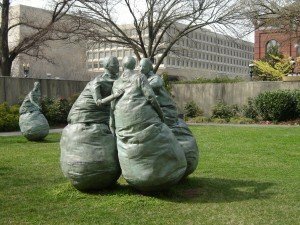 In my city, people hang out and socialize in the parks. They sit on benches and watch people. They talk with their friends. Kids scream, run, and play on playground equipment. Parents sit on park benches and talk with each other. The park is where I met my friend and we talk bout my faith and his questions on a regular basis. The park is where we met a lady who eventually took baptism after placing her faith in Christ. The park is where Patricia did intentional evangelism which led to 2 baptisms in 6 months. The park may not be your social scene, so where is yours? Your work, your peer groups, your activity groups? Likewise, the early disciples spent time going from house to house. Now those who like to practice door to door evangelism find their justification in this verse. But I think it refers instead to the family relationships and friends. It is the more intimate relationships than in the public square of parks and where you work. How do I live this out today? I hang out with people at their house. We have friends over to ours. We play games, we eat, we talk, and we discuss what we are learning in our relationship with God. All this is part of our ordinary rhythm of life. Where are your spheres of influence? Where do you spend most of your time building organic relationships of influence? What I see is that the disciples did evangelism where they lived. They had a lifestyle of evangelism. Their conversation was full of elements of the good news. I am sure their lifestyle was an attractive one and one that opened the doors to effective spiritual conversation about Jesus. Their friends knew they were a follower of Christ. Instead, I can imagine that out of the overflow of their personal relationship with Christ, they spoke of the work of God in their life and connected that to helping people follow Jesus. I have found that my friends don’t mind me talking about my faith. Instead, they respect it as part of who I am. We’ve talked about the gospel several times, and are working through the differences between belief and following. My friend is getting close I think to repentance. That’s because I’ve not stopped teaching about being a follower of Jesus. I’ve not stopped talking about what I’m learning from Jesus in my daily walk. I’ve not stopped sharing stories of transformation in my own life of how following Jesus has changed me. 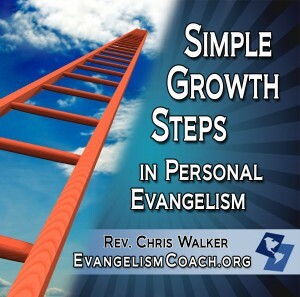 Take a few moments and do a self evaluation of your lifestyle of evangelism. Is Jesus regularly a topic of your conversation? Are you talking about the activity of God in your life now? Can you talk about how you discovered the grace of God in your life? Are you regularly talking about what you are learning in your devotional life? Do you share what you learned and are living out from last Sunday’s sermon? What can you do differently now? 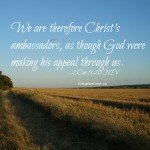 Which type of ambassador for Christ are you? When I wear a shirt with my business logo on the pocket, I represent my evangelism training business. I see eyes of people glance at my shirt pocket when I introduce myself to them, or when they sit next to me on a plane or in a mall food court. Their observation often leads to a “what do I do?” type conversation where I present the solutions I bring to helping churches and people be more effective in sharing their faith. When I wear a shirt that says “Vida Joven Panama” or “Young Life Nicaragua,” I am an unofficial representative of that organization. People ask me what do I do for Young Life and what is my role? I get to explain the mission of Young Life and how I am not staff, but an invited teacher who provides training for their ministry leaders from all over Latin America. When I wear any kind of Christian clothing or t-shirt, I will be quickly associated with Christ and his church. 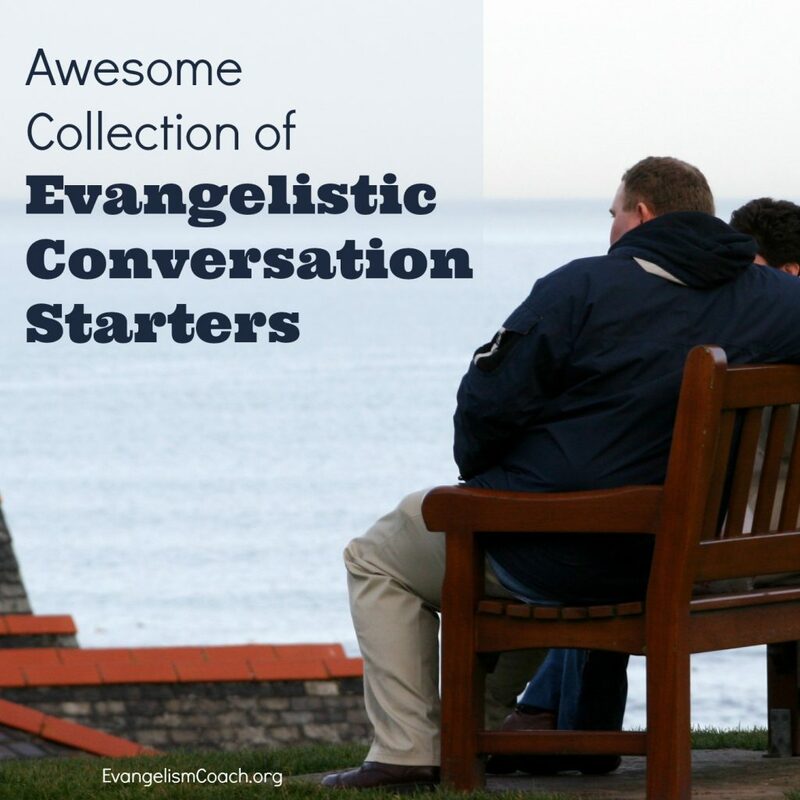 Sometimes people will ask me about my faith, but not as often as they start conversations about an EvangelismCoach.org shirt or a Young Life shirt. The shirt links me with the organization. I get to be an ambassador for the organization who’s logo is on my shirt. Some recent travel experiences have prompted me to evaluate my own life as an ambassador for Christ. Allow these devotional thoughts to stir your own reflection about how you represent Christ to the world. What type of Ambassador are you? 1. The “I’m too important to be bothered” ambassador. 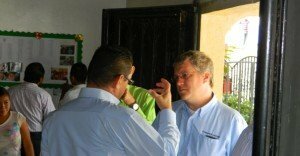 I’ve met an ambassador from the United States during a community service project in a developing Latin American nation. While I’m sure the ambassador is a really nice person, my brief meeting with this person left me feeling a little disappointed. It was a community service project where an American Embassy was painting a school room in an impoverished neighborhood as a good will community redevelopment project. My family participated in the event. Local adults and children from the host nation were not allowed to participate in painting, only US Citizens and embassy staff and friends. The logo of the US Embassy was painted on the wall as a reminder of who the benefactor was. The ambassador showed up for photo opportunity with the local children. The ambassador took up a paint roller, and rolled a few swipes of paint on the wall. Children were oohing and awing, and the local media was filming the circus. The ambassador made empty comments about blessing the host nation, and then left. It was over and done in 5 minutes. The ambassador had more things to do that day. I’m sure US ambassadors do a good job, but this I hope experience was not a representation of US values around the world. But I found myself thinking – do I ever represent Christ and His Church in such a way? When I’m too busy for the poor? When I give lip service to community service? 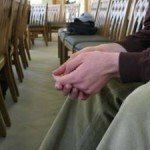 When I’m too busy with church work to be in the presence of Non-Christians? When I’m entirely surrounded by Christian trappings that I won’t let a non-Christian be close to me? 2. The “Unaware of the Embarrassment I’m Causing” ambassador. On another trip, I was in the check-in line at a busy international airport. I had just arrived at the airport for a long international flight to the US from a Latin American country. A bus full of college students finishing their trip arrived at the same time for their return home with their professor. Several of them proudly wore school logos on their clothing. I wound up standing behind them in line. I don’t mind lines – they are a part of travel. But listening to them talk and behave, I began to be embarrassed for them, for their school, and even for my country. They were bragging about how drunk they got the night before. The described the discomfort levels of their current hangover. They used unnecessary foul language. (I’m not offended by such language, but it brings shame upon their school that they feel the need to talk this way). While they were no longer drunk and were still allowed to fly, their public relishing of their behavior was not cool. When the gate clerk wouldn’t let the group in the priority line (because only the professor had status), the students cussed, complained, yelled, and caused a general scene. They griped about having to wait in line. They griped about not having their privileges (really of their professor) honored. The professor wasn’t much of an adult either. Cussing, swearing, allowing line cutting etc. He didn’t represent his school very well abroad either. Though they eventually complied with the airline staff, their rudeness and belittling of staff simply led me to hang my own head in shame. When I complain about people in a critical tone. When I get angry when I don’t get MY way. When I get frustrated when something doesn’t work. When another driver cuts me off and I yell out my window (or wish for their destruction). 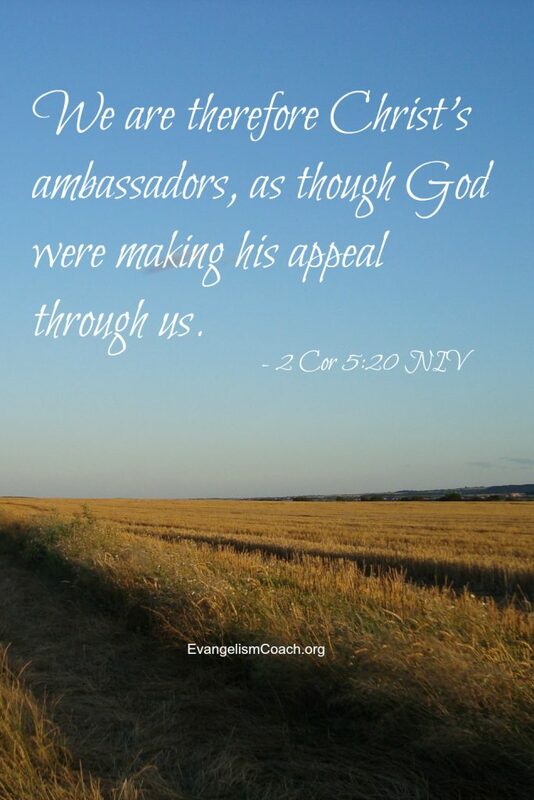 You are an ambassador for Christ. These occasions have given me pause for reflection. I want to be a positive ambassador for Christ. I want my words and my lifestyle to reflect the transformation and development that Christ is working in me. I do not want people to hang their head in shame because of my public behavior. I do not want to harm the reputation or cause of Christ because of how I represent Christ to the world around me. The friend I’m currently witnessing to has a regular objection to Christians who are one way in church and another way in public. Part of how I’ve earned a hearing with him and am able to share God’s activity in my life is that I have been an effective ambassador for Christ. My life matches my words. 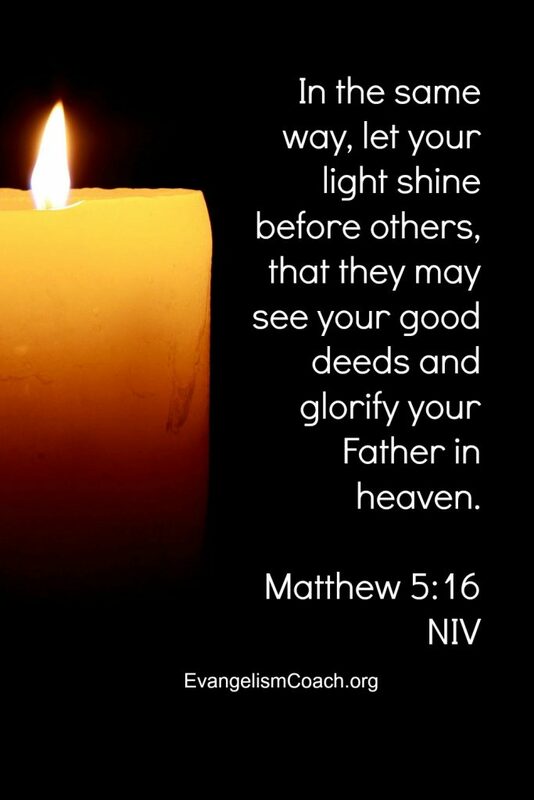 I do as much as a I can to bring glory to Christ in my behavior and actions. I am an ambassador for Christ. If you are follower of Jesus, you are an ambassador for Christ. Live like it in public. People may not know you are His ambassador unless your clothing or conversation marks you as a follower of Christ. I would not have known what college they were attending except for their clothing. I wouldn’t not have known the US ambassador if I had encountered them in a different context that wasn’t an embassy project. But if they can connect your public behavior to the cause of Christ, what connection will they make. Don’t hinder a person’s journey to faith by how you are in public. 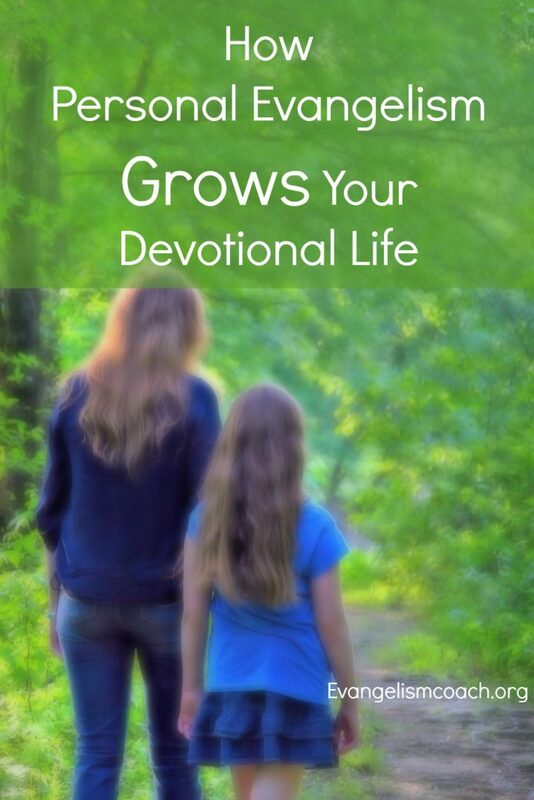 Does your devotional life seem a little dull and routine? Want to spark a fire for a new round of momentum to keep up your spiritual disciplines? Then make sure you get involved in sharing your faith with people on a regular basis. As you talk about your own relationship with Christ with spiritually thirsty people, you will re-discover an element of joy that may have been lost because your devotional life has gone stale. When you answer sincere questions from a seeker who is talking about his or her faith journey, you’ll re-discover a refreshed desire to pray for those around you who don’t know Christ. When your friend gets clarity on misconceptions about Jesus and you continued to see their renewed interest, you’ll recall the joy of your own discoveries of faith as you came to know the grace of Christ. But sometimes your friends won’t listen. When they shut down those conversational doors, you’ll get frustrated at their spiritual blindness (2 Corinthians 4:4). Since you were once spiritually blind too, then start praying for their spiritual eyes. When they argue with your presentation of Jesus, you might experience the grief of their current rejection of the savior. Take that to prayer. When they ask a question you can’t answer or explain, you might experience a desire to find out the answers and grow in your own understanding of your relationship with Christ. 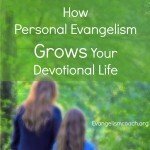 Personal evangelism renews a devotional life. Recently, I walked with my friend. That is one way I practice evangelism in the course of my life. 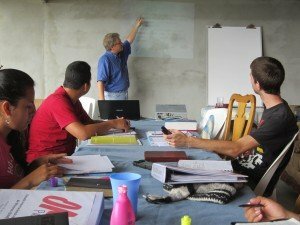 What about the people who’ve never heard the gospel? “All religions are true” and why that doesn’t make any sense. How sin affects each person no matter how good they think they are. How Jesus reconciled us to God so that we might have a relationship with Him. 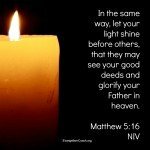 How many good works does one have to do to secure the blessing of God and earn a spot in heaven. His spiritual curiosity was fascinating. I enjoyed the “a-ha” moments he found as we talked about the biblical truths and clarified some of his misconceptions. 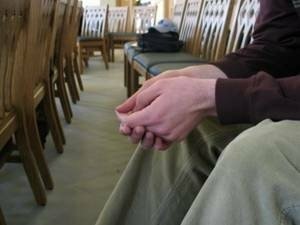 As he started visiting my church after several personal invitations, I’m seeing forward progress in his journey to faith. 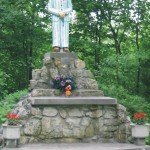 I found myself renewed in a desire to pray for his discovery of Jesus. I wanted to refresh some reading of books on answering objections or evangelistic conversations, such as God Behaving Badly, or Tactics. My devotional life has perked up once again. Today, have a conversation with a friend about your faith and put a fresh wave of joy in your devotional life. What is it like to be a Christian believer in a very difficult spiritually dark setting? 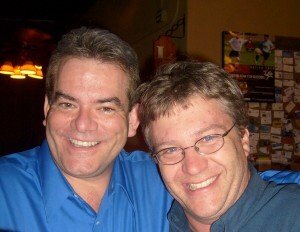 If you worked for a spiritually bankrupt employer, would you leave? Or would you remain and be a witness? In First Kings 18:3-4, we find a believer in such a situation. Right in the midst of this corrupt society and evil court was the man of God. Obadiah, whose Hebrew name means The Servant (or Worshiper) of Jehovah. He was Ahab’s chief of staff. Obadiah was a God-fearing servant of Jehovah at the same time. He cared for the some prophets at his own risk, much like the widow took care of Elijah. Obadiah was in charge of Ahab’s palace. This man of God works for a pretty wicked master. Most of us would cringe from such a responsibility. Somehow this believer was well grounded in his faith in the midst of such worldly surroundings. He’s in charge of the palace, yet appears to remain pure from the worship of his master’s idols. Literally, it reads he feared the Lord greatly. I don’t know how he managed to do this. We can speculate that he did this at the risk of his own life, when his boss’s wife is out killing others. 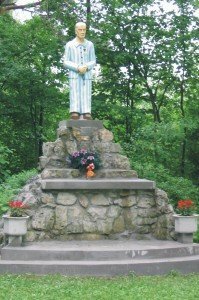 Joseph the son of Jacob was sold into slavery by his jealous brothers. He ended up in Egypt as a servant in the household of the captain of Pharaoh’s bodyguard. There, he was falsely accused of making a move on the captain’s wife. However, “By faith Moses, when he had grown up, refused to be called the son of Pharaoh’s daughter; choosing rather to endure ill-treatment with the people of God, than to enjoy the passing pleasures of sin….” (Hebrews 11:24-25). Esther was a humble Jewish girl who by the power and protection of the living God of Israel was raised up to become the queen of Persia, and within that evil society she was able to save the Jewish community from death and destruction at the hand of their enemies. Daniel as a young man was taken as a Jewish slave into the Babylonian captivity, only to be raised by God as a prophet and an interpreter of dreams for the king. He was placed by God in positions of power and influence in both the Babylonian and the Persian Empires. He lived long enough to see his people return to Israel after the seventy years of Babylonian captivity. Can you share your faith in spiritually dark places? These are examples of men and women of faith who lived in spiritually dark places, yet maintained their witness, and their calling. Perhaps Obadiah wanted to be salt and light in the world.